The Future Combat Air System, or FCAS, is entering a new phase. It has been launched last April by Germany and France, and Eric Trappier, the CEO of Dassault Aviation, just announced that a new contract would be signed by the end of January. The aim would be to fly a demonstrator for a piloted aircraft by 2025. FCAS is a major project, a symbol of the strengthened defence cooperation between the two countries, which should be reaffirmed by a new treaty to be signed on January 22. Beyond politics, the French and German aim to replace their current fleets of combat aircraft by a new system capable to overcome the most modern air defence systems, with an introductory date around 2040. Contrary to previous European defence projects like the Tornado or the Eurofighter aircrafts, FCAS will not be restricted to designing a single fighter jet. 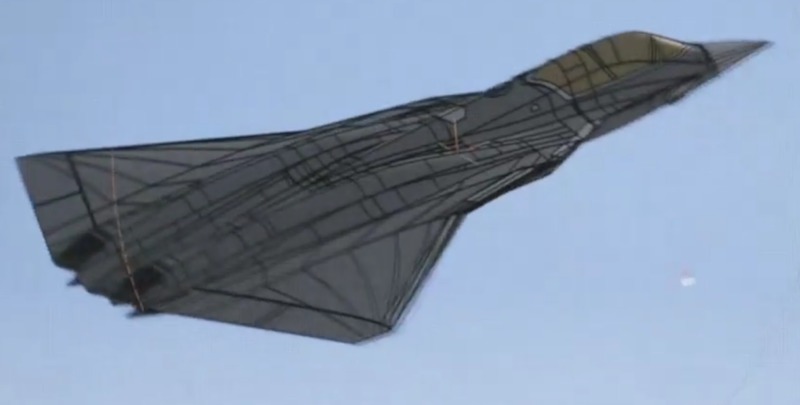 The generic video presentation of the FCAS concept was produced by Airbus, and features its products; the new-generation fighter, for example, will differ substantially from the one illustrated here. Rather, it will design a force structure, comprising fighters, drones, tankers, advanced early warning aircrafts and complex weapons, each one of them being linked up to a common network to share information and react instantly to enemy threats, which are envisioned to become increasingly connected as well. Indeed, ground radars, command centres and surface to air missiles will probably be networked with jam-resistant links. Future air warfare should consequently see the air defence network face the FCAS offensive network. The project is currently in definition phase, and is headed in France by French Air Force General Breton. As it is a very technical endeavour, the French defence procurement agency, DGA, is strongly involved, under the leadership of Chief Armament Engineer Koffi. Both were present at the forum “Innovation Défense” which was held in Paris at the end of November, and gave a conference on the role of innovation in the FCAS project. The Future Combat Air System FCAS is due to come into service in 2040, 2040 is a long way off. It is therefore necessary to be flexible and agile to be able to constantly adapt to the unexpected. One way to do this is to use an app model like on smartphones: you can install a new application in a few clicks, which is currently impossible on a fighter aircraft because you have to check that any new software does not have an impact on the flight system for example, while these two softwares must communicate together. FCAS will therefore have to be architected to be able to integrate new applications by ensuring that they do not consume all the memory or battery, to use the smartphone example. Another way to innovate is through new uses of existing systems: for example, by using the management equipment for the link16 datalink that equips our aircrafts, we can divert it from its initial role as a pure data link by using it for training, by injecting dummy targets to make pilots work on the reaction to be given to them. An important aspect of innovation on FCAS will be networking: currently on the Rafale, the pilot mainly uses his own sensors and some of the information provided by the network. In FCAS, the proportion will be reversed. The management of the data transfer by the network will be done independently of the pilot, who will see the data merged and will supervise the process. The analyses we conducted on FCAS are as follows: the missions will be more or less the same as today’s missions. Threats, on the other hand, will have changed significantly. Long-range air defences and denial of access will have spread, enemy aircraft will be stealthy, the enemy will have swarming and collaborative UAVs, hypersonic missiles, integrated land/sea/air/space manoeuvre, and cyber capabilities. If these capacities are the prerogative of a few states today, tomorrow any actor, even a private one for cyber, will have some or all of these capacities. Faced with this, FCAS provides a system response, with different components. A cruise missile component will deal with high value targets. The highly defended threats will be engaged by remote carriers – drones capable of performing reconnaissance, jamming or even striking. Depending on the defences encountered by the system, it will send either its fast components or its stealth components to counter it by adapting. Click here for the full story, on The Restless Technophile blog.